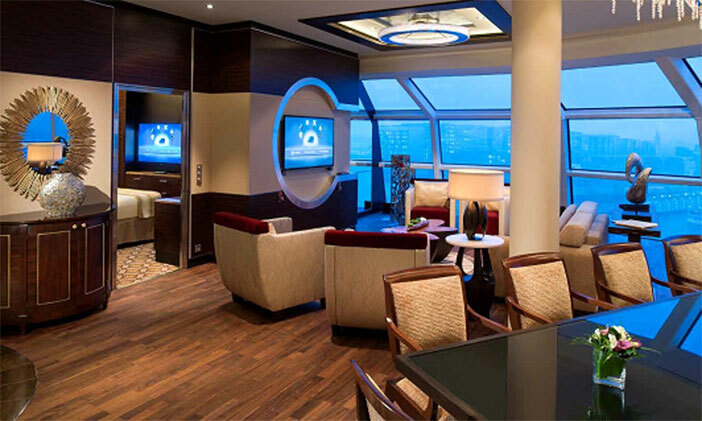 Celebrity Cruises are updating their Suite Class facilities aboard their fleet of ships, providing enhanced amenities, features and perks to passengers. After inviting feedback from Suite Class guests, Celebrity Cruises have decided to reinvigorate their services, more fitted to the needs and tastes of their guests. Offering improved privacy for guests staying in the Suite Class, guests can enjoy their own private dining venue and unique menus designed around customer feedback. Additionally Suite Class guests are offered unlimited speciality dining, internet and complimentary premium drinks. The comprehensive service allows Suite Class passengers priority check-in and behind-the-scenes access to many of the ships’ features and activities. Theatre buffs will enjoy the reserved tickets to on board shows. The full services and amenities available differ throughout the various suites – Reflection, Penthouse, Royal, Signature, Celebrity and Sky. All of the suite guests benefit from priority check-in, priority dining, reserved theatre tickets, dedicated butler, 24-hour complimentary room service, concierge and a selection of complimentary amenities/experiences. 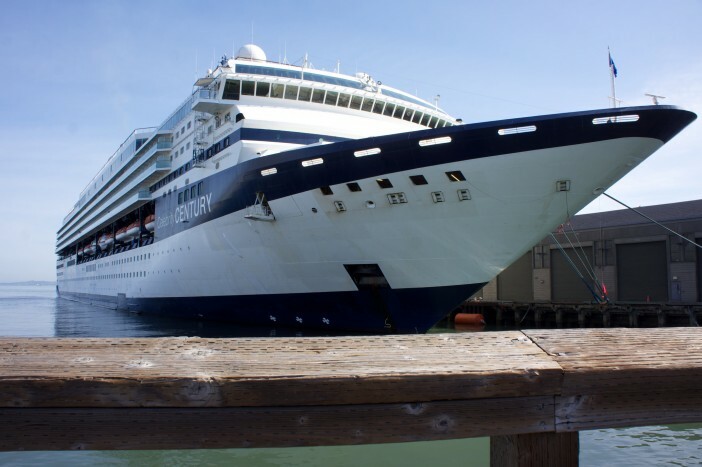 The updated Suite Class features are offered throughout the entire Celebrity Cruises fleet with the exception of the Celebrity Xpedition – the smaller sized cruiser, with a capacity of just 96 passengers and currently visiting the ports of the Galapagos islands, made famous by Charles Darwin. The new range of services and amenities will begin service in April 2015, improving a class already considered to be one of the most luxurious at sea. 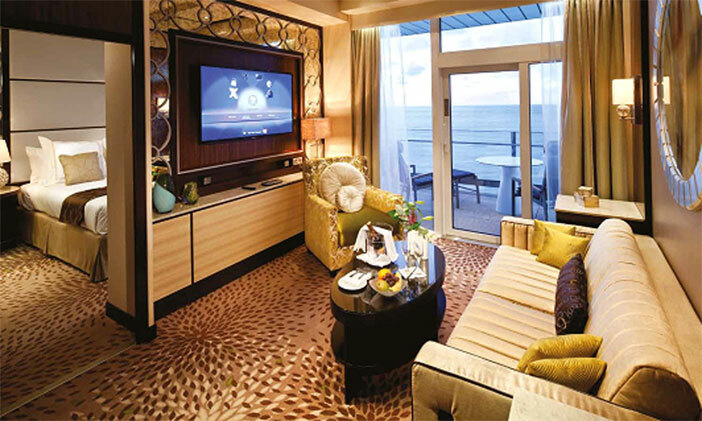 The current Suite Class from Celebrity Cruises include a number of unique features including the Reflection Suites’ stunning showers, cantilevered over the edge of the ship. All of the Suite Class rooms are expansive and stylish designed – offering contemporary art pieces and floor-to-ceiling windows providing incomparable seascapes. All Suite Class guests benefit from Michael’s Club VIP Lounge – a cosy relaxation area open 24 hours a day, offering complimentary cocktails and personal concierge service. The concierge service can help recommend shore excursions, port restaurants and assist with reservations.